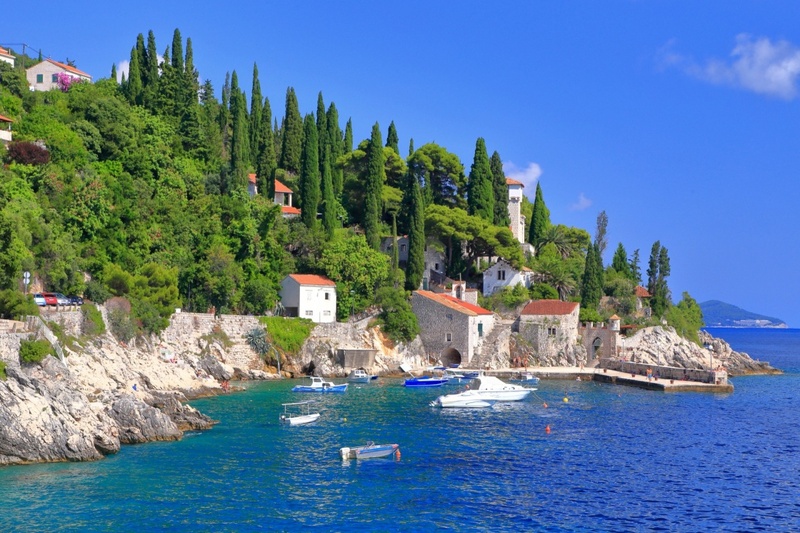 Trsteno is a small seaside settlement situated 20 km north of Dubrovnik. It is famous for its unique natural beauties, rich vegetation and its well known Arboretum. It is believed, according to numerous archaeological findings, that Trsteno was founded as early as the 5th century, situated at the Adriatic seashore. In the early 14th century, the settlement became a part of the Republic of Ragusa. Many members of the Dubrovnik gentry were enchanted with the natural beauties of Trsteno and they started to build their summer houses there. The biggest and the most famous was the one built by the Gučetić-Gozze family, preserved until the present day. 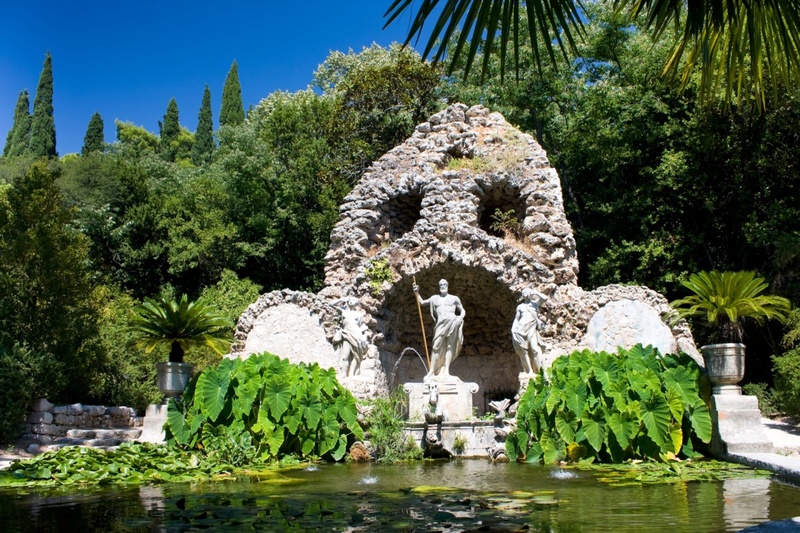 In the first half of the 20th century Arboretum Trsteno was founded by the Croatian Academy of Sciences and Arts. Arboretum Trsteno is the only existing botanical object of its kind in Croatia. Covering the area of over 60 acres, it is consisted of the Gothic-Renaissance park with the 15th century summer residence and the neo-romantic 19th century park. A baroque fountain displaying Roman god Neptune and the nymphs can be seen there as well. The Arboretum contains historical olive trees and the natural vegetation of the evergreen Mediterranean tree species, as well as over 300 of various exotic plants from all over the world. The most interesting natural sight of the Arboretum are two Asian plane trees. Towering above the Arboretum from the height of 60 m and with 5 m in diameter, they are 500 years old giants impressing the visitors with their ancient and somewhat exotic appearance. Trsteno is easy to reach; it is well connected with Dubrovnik through regular city bus lines. But if you are interested in hiding away from the city crowds and staying in the peace and quiet of Trsteno, there are numerous private accommodations and apartments at your service. Beautiful beaches and clear blue sea are attracting new tourists to Trsteno every season, making it a peaceful summer destination from early spring to late autumn. Find information about selected Hotels, apartments and rooms in Trsteno to choose the perfect place for your accommodation.